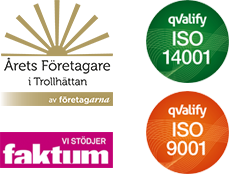 As Scandinavia’s oldest filter company we have acquired a great deal of knowledge over the years. Knowledge that we are more than happy to share. The Ultra Academy is the heart of our main office in Trollhättan where we offer solid training in filters with knowledgeable personnel. The Ultra Academy is a course of three lessons in one morning. The first lesson consists of a short presentation of Ultramare, which is then concluded by a tour of the factory. The second lesson consists of training in filtration and filter technology. In the third lesson you get to learn how to order filters in the absolute easiest way via the Ultra Shop. The morning is concluded with a question and answer period and then Ultramare offers a joint lunch. In the Ultra Academy we have training, a showroom and our test rig. This is where we test our own products and check our suppliers’ products to ensure that they are maintaining their quality. In 2008 we expanded our testing facility into its current layout. It is here that ideas for new products are born, developed and tested before they are launched onto the market. The Ultra Academy also contains a showroom where we display our products as well as other energy-saving solutions. If you can’t come to use, we can come to you. We also offer our customers the opportunity to go to a training course at our office in Bromma. Since our production is carried out in Trollhättan, at Bromma it is not possible to get insight into our filter production. Other than that, the training is the same. You can register with your salesperson of directly at ultraakademien@ultramare.se. We assume that ordering filters is not one of the favourites on your to do list. That is why we launched Ultrabutiken.se in 2009. And we have never regretted doing it. Today, more than 30% of our customers buy via the web. Why? Because it cannot get any simpler and easier. You save time and minimise the risk for incorrect orders. The Ultra Shop is always open. 24-hours a day. Year-round. This means that you, as a customer, can make your orders when you have the time. You do not have to adapt to us. In addition, the Ultra Shop is so user-friendly that a filter order for an entire shopping centre can be made with a few simple clicks. Why not try it? Click on the link below and register as a user and we will contact you and give you a tour of a dream world for a filter buyer.